Anna Rohrer , 17, of Mishawaka, Ind. has been selected to represent Team USA at next month's Bupa Great Edinburgh Cross Country Race. The competition will be held on January 15 in Edinburgh, Scotland. 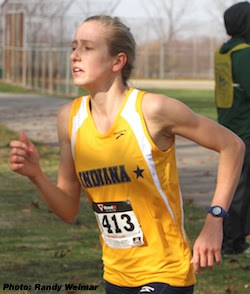 Rohrer the 2 time Indiana state cross country champion and the 2 time Foot Locker national champion was one of 6 women selected to the Junior (age 20 & under) team. This is Rohrer's first selection to an international team. "I am absolutely thrilled to have been chosen to represent my country for the Bupa Great Edinburgh Cross Country Race" stated Rohrer. "This kind of opportunity does not come often, so I am going to use it as a way to help make me a faster, more educated runner. I can't wait to meet outstanding runners from all over the world and take my racing to the next level." The event will be webcast on USATF.tv live. 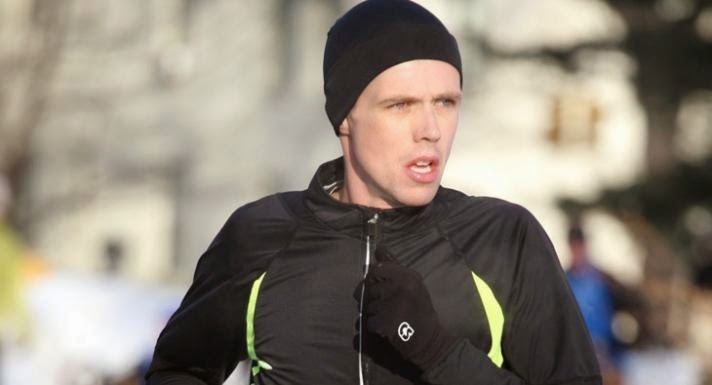 Bryce Carlson discovered an immediate physical and spiritual connection when he ran his first marathon a decade ago. Four years later came Carlson’s first 50-kilometer race (31 miles), and before long, his first 100-mile endeavor. The assistant professor of anthropology at Purdue University fell in love with the ultramarathon community. Yet Carlson isn’t satisfied with simply pushing his limits — he wants to also study them. Soon, he’ll do both. Carlson is one of 12 runners who will complete a marathon a day for almost five months as part of Race Across USA. Covering 3,080 miles in 140 days, the event was conceived as a fundraiser for The 100 Mile Club, an organization that encourages children to run or walk 100 miles during their school year, and to raise awareness about childhood obesity. Additionally, 10 runners volunteered to take part in a study Carlson is conducting about the effects of ultramarathons. By assembling a research team representing various fields from 10 universities and hospitals, Carlson will monitor his and the other runners’ performance and response to everything from diet to injury to psychological well-being. “They’re almost all really excited about the research project for exactly that reason — that it will give them some insight in how their own bodies work,” Carlson said of the other runners. Darren and Sandy Van Soye have raised more than $80,000 for The 100 Mile Club by putting on extreme distance running events. While selecting participants for Race Across USA, Darren Van Soye said he sought strong runners with a compelling personal angle. Carlson fit both criteria, and demonstrated his passion by turning in the longest application. The run begins in Huntington Beach, Calif., and takes a southern route across the country. By passing through Arizona, New Mexico and Texas, participants will avoid the harsh winters in states such as Colorado. As the event continues through the Southeast, the route has another benefit. Louisiana, Mississippi and South Carolina have some of the nation’s highest childhood obesity rates. The runners will hold speaking engagements at schools throughout the run. While Race Across USA has two separate goals for Carlson, he sees a clear connection. “The research project is very much going to be looking at ... how the human body adapts, how we utilize changes in behavior and beliefs and utilize technology to adapt to novel environmental stresses,” Carlson said. Carlson, who did his undergraduate work at the University of Michigan and earned a Ph.D. in biological anthropology from Emory University in Atlanta, has been at Purdue since fall 2011. Recent Purdue graduate Garrett Quathamer will provide logistical support for the Race Across USA running team. Participants are scheduled to run on 120 of 140 days between the start of the race and its conclusion in Washington, D.C., on June 2. While Carlson will observe a small number of subjects, they represent all genders, ages and backgrounds. 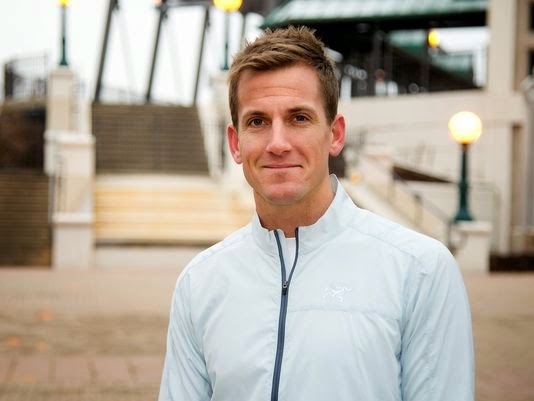 Christopher Knodel of Texas is an Army veteran who used running to beat addiction. Jup Brown of New Zealand has been running ultramarathons only for three years. Newton Baker of Vermont is a cancer survivor who has completed 175 marathons and almost 50 ultras. On the day Race Across USA begins, he’ll turn 73. Baker, who studied nutrition, pacing and the psychological reaction to running as he progressed in the sport, sees the benefit of Carlson’s research for himself and others. 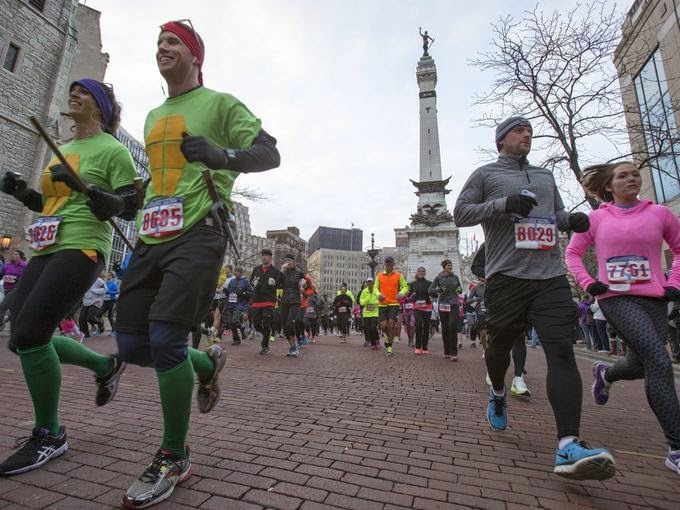 Start your running year off right by attending the Wabash River Runners Club's RUN IN THE NEW YEAR event! Each January 1st, the WRRC hosts a FUN RUN to bring in the new year. This is an event to bring the group together and acts as our annual ‘membership drive’. The runners meet at the Four Points by Sheraton. The run starts at 10 AM and the distance varies, with each runner deciding how many loops to run on a course that is approximately two miles long. Thanks, Coach Howell, for all the years of service to Broncho Cross Country. Dave Howell went out with a bang. After the Lafayette Jeff Bronchos placed 22nd in the IHSAA boys state finals earlier this month, the longtime coach has placed the program in the hands of his predecessors. Howell resigned on Thursday. Assistant Grant Fischer was promoted to the boys head coach and recently hired boys track and field coach Lance Vanvekoven will assume duties with the girls cross country program. "With these people on board, the timing is right to pass the torch," Howell said in a statement released by the Jeff athletic department. "These coaches will lead our program to good things in the future. I am going to stay involved with the program in different capacities to support them in any way I can." Howell has been involved in the Bronchos' cross country program for 41 years. "For 41 years, he's made a difference in our program and in the lives of our students at Jeff," athletic director Peyton Stovall said. "I'm excited that we are able to hire two eager and innovative coaches that are also students of the sport in cross country." These are great products and this is a really good, limited time offer. 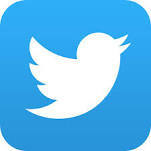 Road ID has filled a niche with there products and now services. They have great customer support and they do a lot to support runners. Consider this offer for yourself or a runner in your life. I had a great time at the OPSF 50K/50M on Saturday, November 8th. The weather held steady in the lower 40's all day with only a threat of rain. Thanks to Terry Fletcher, Bob Siscoe and especially all the volunteers without whom this event would not happen! Last weekend was just jammed packed with terrific running events. Congrats to all the participants. Whether it marked their first race or seventh, every runner at the Indianapolis Monumental Marathon had something to celebrate. I'm a finisher! I'm a go-getter. We did this together. I beat my personal record. I'm headed to the Olympic trials. I can finally take a nap or get a warm cup of cocoa. Gaining sight of the finish line on a cold and windy Saturday brought some runners to tears while others danced and celebrated weeks, months and even years of training. "For me it's about challenging myself to be better," said Rodney Sarkovics of Fishers. "In a marathon, you are running against the clock." Alana Hadley, 17, of Charlotte, N.C., was the first woman to cross the finish line at the at the Indianapolis Monumental Marathon. Hadley set the woman’s course record with a time of 2 hours, 38 minutes and 33 seconds. 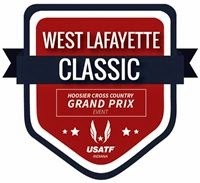 It was the second-fastest marathon by a high school girl in the U.S.
Saturday's state cross country championship by the West Lafayette boys (and furthermore, a third-place for the girls) was quite impressive. The Red Devils brought Tippecanoe County its 44th team state championship and just its 18th in a single-class system. Saturday's title might be the most impressive given the factors. It was not quite the Milan Miracle (as portrayed in the movie "Hoosiers"), but it was at least somewhat comparable. The Red Devils managed just strong enough of a performance to beat Carmel. Let me rephrase that. A school with an enrollment of 695 (according to the IHSAA directory) put together a seven-runner roster better than that of everyone, including two-time defending state champion Carmel, with an enrollment of 4,851, most in the state. 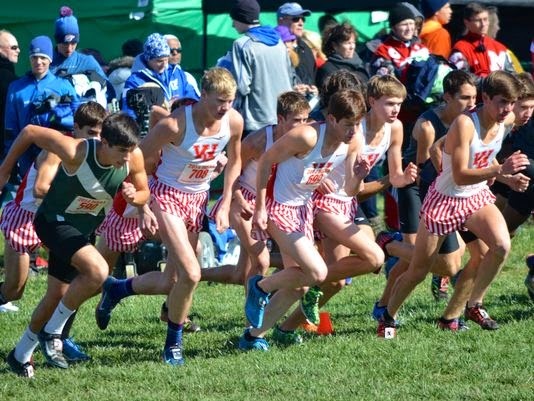 The Greyhounds missed out on a 14th state title in boys cross country just moments after their girls program won the school's 120th team state title, according to the IHSAA website. TERRE HAUTE – At some point, you have to wonder, what can Anna Rohrer possibly do for an encore? The Mishawaka High School senior claimed her second individual state title and broke the course record – again – during Saturday’s IHSAA cross country finals in Terre Haute. Oh, she received the girls Mental Attitude Award as well. And as far as the race … what race? Rohrer assumed a lead at the gun, pacing the field through 800 meters while every other runner waited for her to make a move. Then she was off, loping ahead and extending her lead with every step. It was 50 meters by the mile point, 150 meters by two. Surging up the homestretch, spectators crushed into the security fence at the Wabash Valley Sports Center to get a look at her. She reached the finish line of the 5,000-meter race in 17:08.8, shattering her own course record of 17:13.2, set her sophomore year. The full South Bend Tribune story can be found HERE. NEW YORK -- Wilson Kipsang, a former world-record holder, needed to force himself to slow down. The Kenyan star had entered his first New York City Marathon to challenge himself on a hilly course with no pacemaker. A windy morning made for quite the test Sunday, and Kipsang proved he can win a strategic race. "I had to really exercise a lot of patience," he said. Kipsang pulled away in the final mile for his third major marathon title in just over 13 months. Mary Keitany also took the lead late in the women's race for a Kenyan sweep. Kipsang's record-setting victories in Berlin and London were on flat courses with the aid of a pacemaker, very different from Sunday, when winds were gusting at more than 30 mph at the start. The contenders adjusted by cautiously sticking to a slow pace. Full story with videos HERE. The 2014 New York City Marathon had 50,564 finishers, the New York Road Runners announced Monday, making it the largest marathon ever. Last year's New York City Marathon set the previous record for the largest field in history with a total of 50,266 finishers. That 2013 total eclipsed the previous record -- from New York in 2011 -- by more than 3,000 after the 2012 race was cancelled in the wake of Superstorm Sandy. Only 305 of the 50,869 runners who started on Staten Island did not make it to the finish line in Central Park. 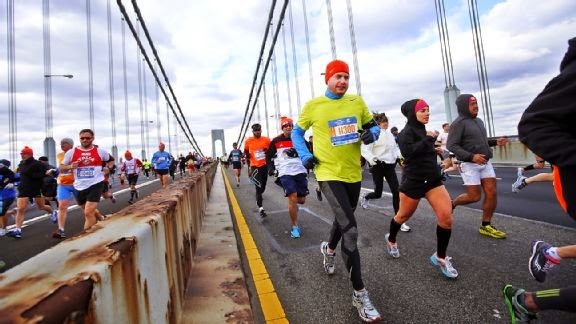 Compared to other marathons, New York City has a high finish rate. New York also hit another milestone during Sunday's race when its one-millionth finisher crossed crossed the line. 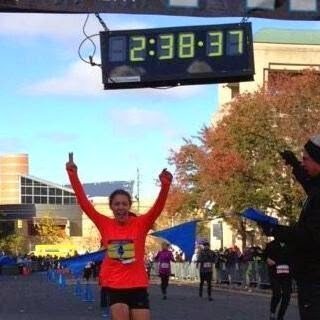 Katherine Slingluff of Brooklyn completed her race in 4:43:36. Here is a look at the largest fields ever at each of the five most popular marathons in the world. A chilly but fun day was had by the runners on the Purdue University XC course on Sunday. Getting in a little racing experience for a potential future as XC runners. Thanks to USATF Indiana and Fleet Feet for putting on the event. Lafayette Sunnyside Intermediate and Tecumseh Junior High Schools were represented. These are great tips presented by the New York Road Runners club specific for the NYC Marathon. But, they are applicable for all of our cold weather running & racing.